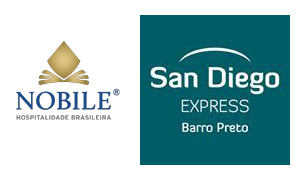 Located in Barro Preto, a traditional region of the mining capital, the San Diego Express is close to big names in fashion, the Laffayette Forum, Legislative Assembly, renowned hospitals and more. Colonized by Italian immigrants at the beginning of the last century, Barro Preto stands out in the urban scenario as a landmark of the capital's reference points, such as the São Sebastião church, Odete Valadares Maternity Hospital, Felício Roxo Hospital, Milton Campos Governor Forum and Raul Soares Square, geographical center of the city, designed by engineer Aarão Reis in French landscape style. It offers good infrastructure, especially banking branches, supermarkets, bars and restaurants, video stores, bakeries, shoe stores and dressers, as well as its proximity to the Central Market. 42 km from Confins Airport.